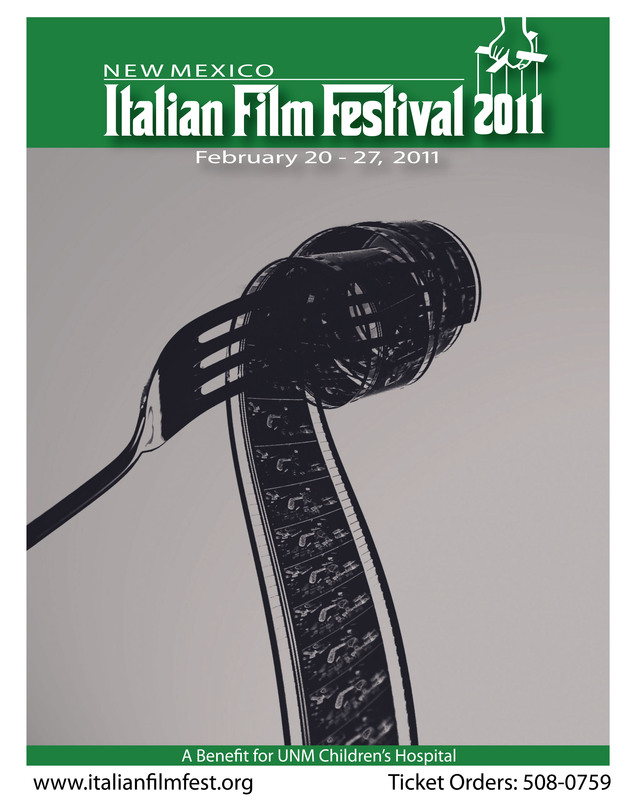 The 5th Annual Italian Film Festival is in full swing this week, benefitting UNM Children’s Hospital. Hosted at a variety of venue across town, the festival features Italian films with a closing gala dinner on Sunday at 1 PM featuring the Northern Italian cuisine of Scalo’s Northern Italian Grill . Ticket prices for events vary, so check the website for full details. This entry was posted in Event Recommendations and tagged 5th Annual Italian Film Festival, ABQCityLife, Albuquerque, APPCityLife, Events, New Mexico, Scalo's Northern Italian Grill, UNM Children's Hospital. Bookmark the permalink.